I don’t really do celebrity junk magazines. But I do invest a fair amount of my glancing power in eating disorder recovery-related Facebook feeds. And recently, Ke$ha’s been showing up a lot. I adore Ke$ha as an artist. Her songs are bold and crazy and unapologetic, just like Ke$ha herself. The singer has always put out a very “be yourself and take no prisoners” vibe – which is why I was rather surprised when it went public earlier this year that she was going to rehab for an eating disorder. But honestly, I don’t think I would have. After having come across the first article mentioning Ke$ha’s entry to rehab (and holding that up as a model for others who might still be suffering silently), I did some research. By which I mean Googling. Hey, I’m only human. We are creatures of curiosity. But that Googling – well, it didn’t really turn up much. No descriptions of paparazzi’s having glimpsed Ke$ha’s rib cage or clavicle or whatever. No star-spirals-downward slurring. Just more of the same sort of bare posts, saying nothing more than that Ke$ha was going into treatment for an eating disorder. They didn’t even say which one. And that, I think, is incredibly important. Since leaving treatment, Ke$ha’s put out a few comments on her pre-rehab self and what motivated her entering treatment, but none of the comments that I’ve come across have talked at all about the physical specifics. 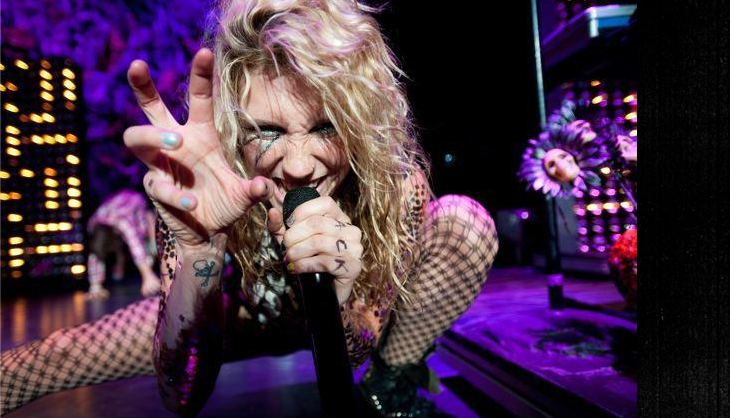 Unlike so many other stars – and regular ol’ non-famous ED victims – Ke$ha doesn’t indulge in some sort of victorious litany of what her symptoms were, how skinny she got, how much she purged, or anything like that. All she says is that she wasn’t loving herself properly and wasn’t really confident in herself. Thank – well, thank the stars. Finally, one of them who talks about what eating disorder are really about. They are not a disease of skinniness. They are not a disease of food. They are a disease of self-hatred. Doesn’t matter what it looks like, that is what goes on, in every single patient, underneath the physical symptoms. I laud Ke$ha on focusing on what eating disorder recovery is really about: learning to take care of yourself and value doing so. Learning to love fighting for yourself, instead of fighting yourself. Finding contentment in being a whole person, instead of in stripping away your very existence. Ke$ha could have talked specifics. She could have talked diagnosis, labels, numbers, gritty details that would have gone viral on gossip sites. But instead, she clamps down on the triggers and talks about what’s really important. It’s her recovery she promotes, not her eating disorder. For the millions of adoring boys and girls hanging on her every word, that is so important. For the casual magazine browser at the grocery store check out, that is so important. For the eating disorder victims who are honestly really damn done having celebrity nonsense about our disorder thrown in our faces, that is so important. For Ke$ha, who will still be fighting to keep her hold on recovery for a while, that is so important. She clearly invested herself in rehab; it’s good to see she’s doing recovery right, too. And you didn't even know they were crazy.